We offer a wide range of acrylic display case sizes, however, due to the thousands of sizes we have narrowed it down to these few for our website. They make great dust covers and keep your dolls, cars, trains, animal mounts from small hands and the elements. If you are looking for a special size please contact us and we will be glad to quote you on the size you are looking for. Or simply fill out our easy quote form and we will get back to you as soon as we can. 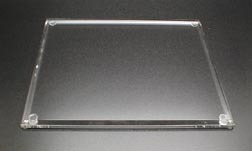 Our display cases are made from quality 1/8" or 3/16" thick clear acrylic. Depending on the size of display case will determine the thickness we will use. Our bases are produced from 3/8" thick clear acrylic that is beveled and flame polished for a modern looking base with a glass finish. All display cases below are produced from all 3/16" thick clear acrylic materials. all edges are step cut and polished. We add clear rubber tabs to bottom of base to keep from shifting. Bases are Approx. 2 inches longer and wider then case size. Please NOTE: Depending on quantity ordered as to PayPals shopping cart shipping checkout cost, we may have to send an extra shipping balance payment due to oversized shipping packaging for multiple packages shipping to one location, CA for example and all zone 7-8 locations will apply. 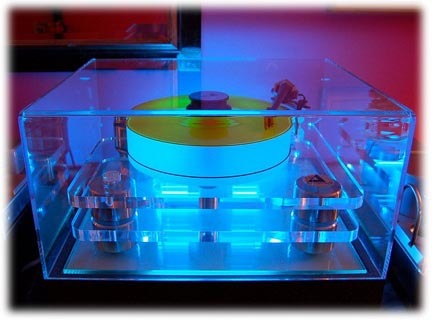 All display cases below are produced from all 1/8" thick clear acrylic materials.